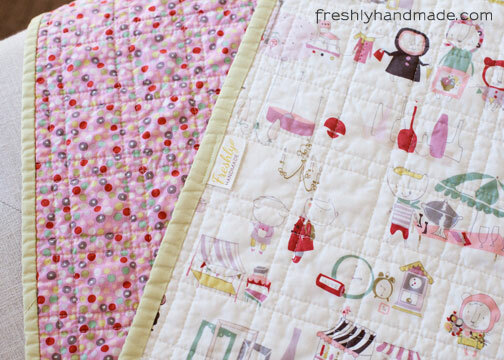 Fresh, simple and lovely handmades, quilts, crafts and DIY projects for everyday living. 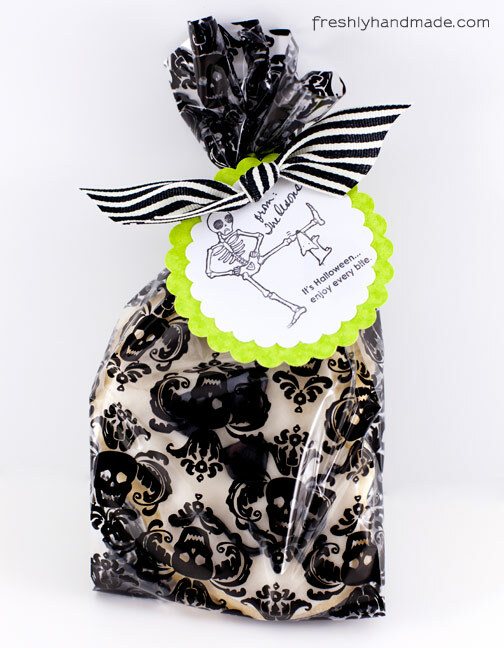 It's time for tricks and treats, so I thought I would share with you the cute treats that I made for some special friends. 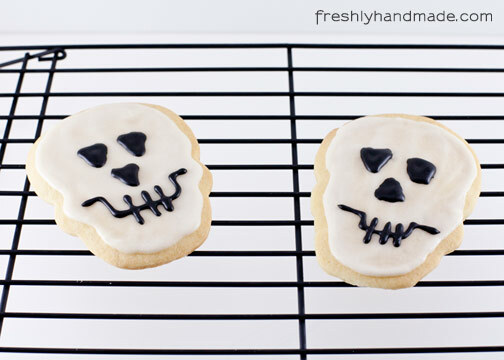 Cut-out cookies are my absolute favorite no matter the occasion. So much so, they are dangerous for me to have in the house. That's why I need to give them away. This year, I made some skeleton heads that were both cute and spooky. I really enjoy creating cute packaging. 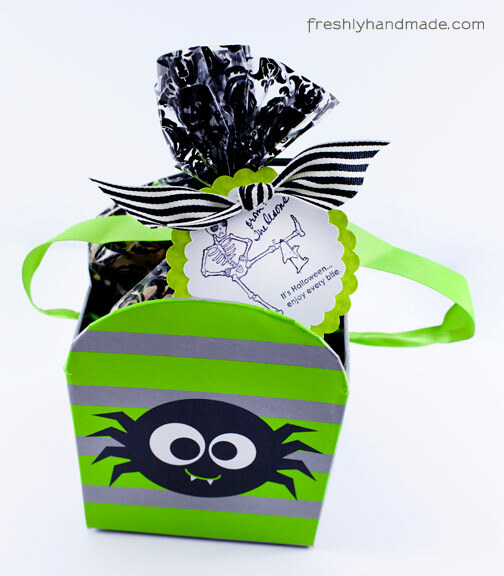 Here, I used decorative treat bags and made a gift tag using some of my Stampin' Up supplies. The bags fit perfectly into this festive container I found at Target. How cute! I hope you have a safe and happy Halloween! My husband's aunt Fey came to visit this week. 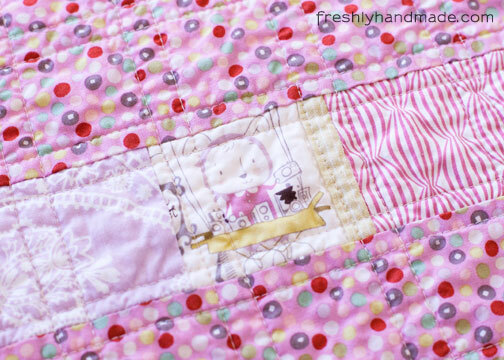 She is a crafter like me so we always have a lot to chat about when it comes cute crafting ideas. I don't get to see her often so I thought this would be a good opportunity for me to learn how to crochet. 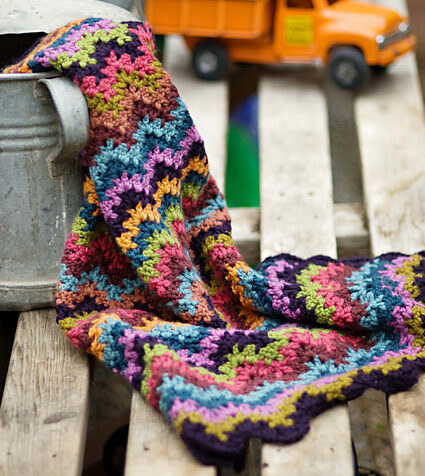 She has been crocheting for years and has taught many how to as well. I love to knit and have a good understanding of this art. I never really felt the need to learn how to crochet because knitting was my thing and produces such lovely results. Then, I was on Pinterest and came across some really cute crocheted baby blankets, which made me want to at least take a stab at it. 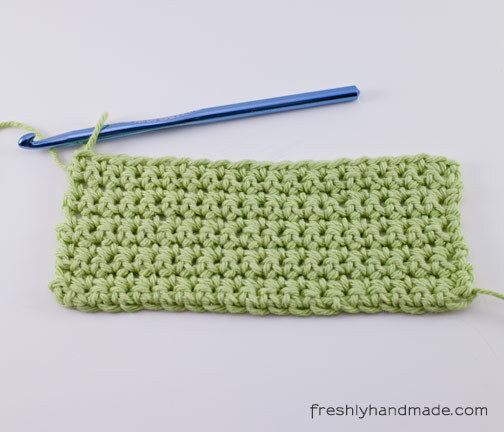 Here is where we started with the basics of single crochet and double crochet, with a couple variations in between. It was a little awkward at first, but I think I got the hang of it pretty quickly. 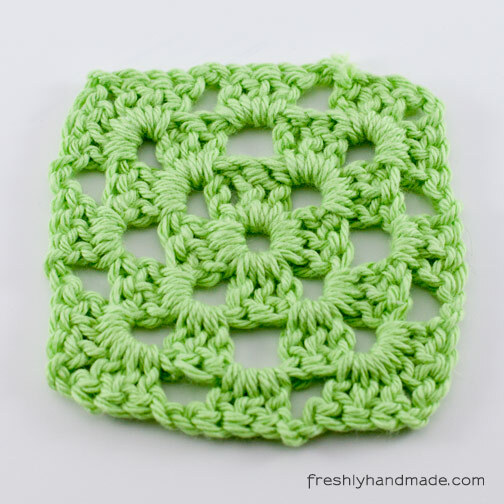 I told her I wanted to learn how to make a granny square, but after watching her whip this one up out of thin air, I think I will stick to the basics for now. I've continued to practice a bit with a couple different stitches to find the right combination of needle size, yarn type, stitch pattern and tension. 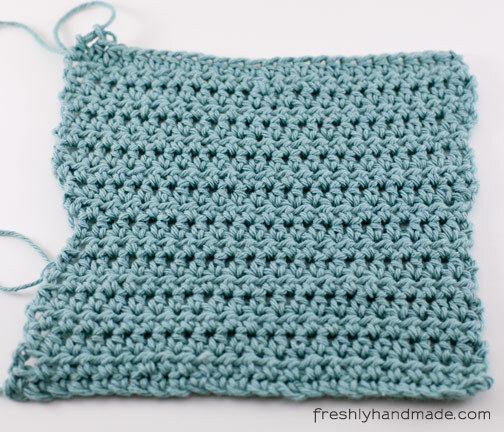 Here is my first practice swatch of single crochet. The colors are fun, but my tension is too tight. It's pretty stiff. So, I tried another swatch of half double crochets. It's not a big difference in pattern but I do like it. By this time I was a little more relaxed and my tension wasn't so tight. I did have some issues staying straight on the edges though. I don't know if I was distracted by the TV or what, but I must have skipped a few stitches along the way so I had to even it out again. I'll have to work at that one a bit more. I knew I wanted a nice flexible feel but without big holes, so I went back to the single crochet but used a bigger needle. This is all the further I got, but I really liked the result. 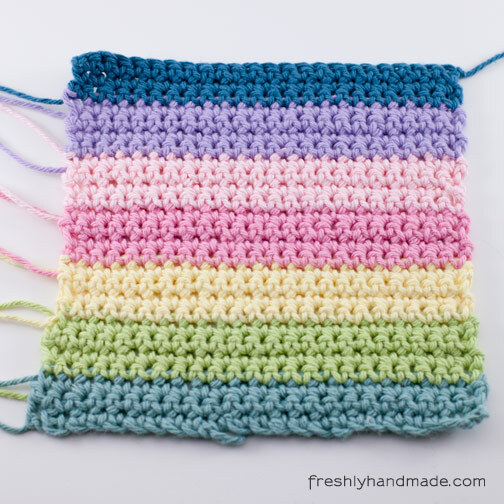 I do want to make a baby blanket or a scarf for myself using good quality yarn. 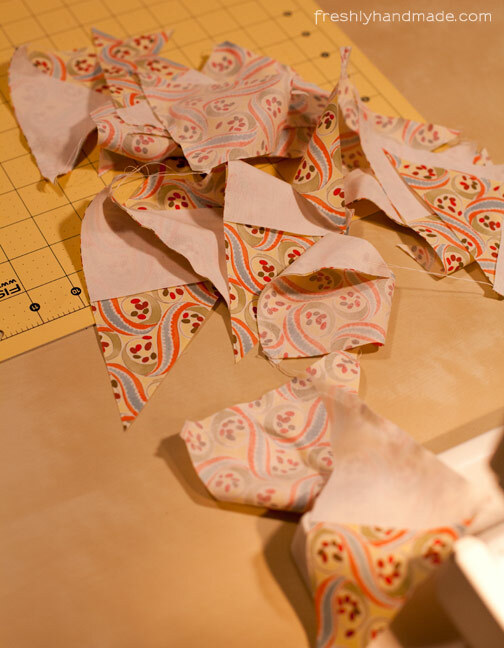 For my samples, I was just using some cotton scrap that I had. 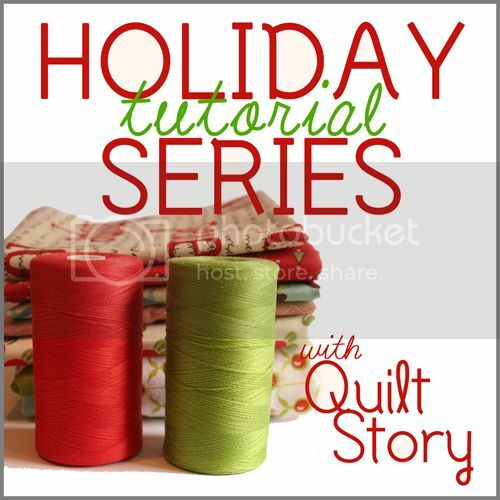 Unfortunately, starting that project will have to wait until after the holidays or I will never get my holiday sewing done. 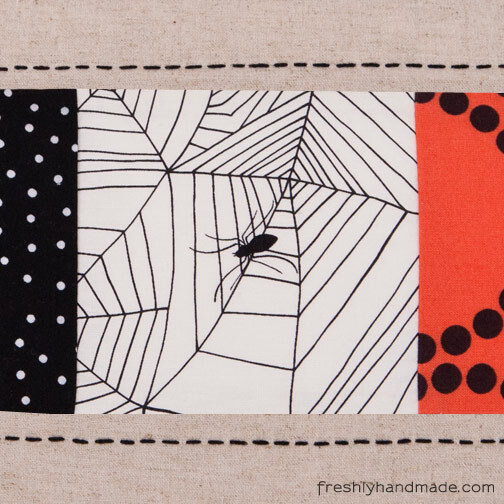 I would love to make something as beautiful as the picture you see below, but for now, I will stick to simple stitches. Thank you aunt Fey for getting me started. 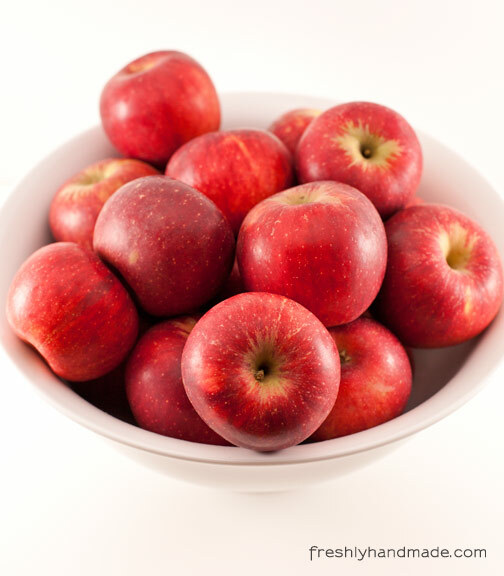 She was kind enough to bring us these Regent apples from her own apple trees and some freshly handmade applesauce. Yum! She also brought me a box full of her old crafting books that I am looking forward to paging through for possible ideas. 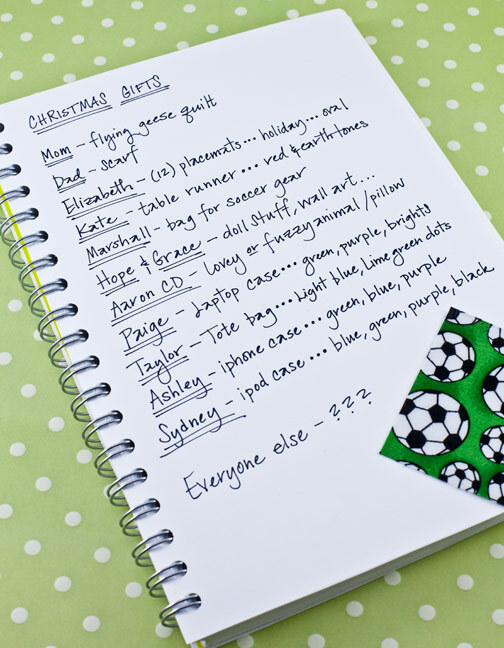 Seems that all the further I got on the Christmas projects for my family was making the list. This week was not too productive in the sewing category, but there was a lot going on otherwise. I am hoping to show some progress after this weekend. 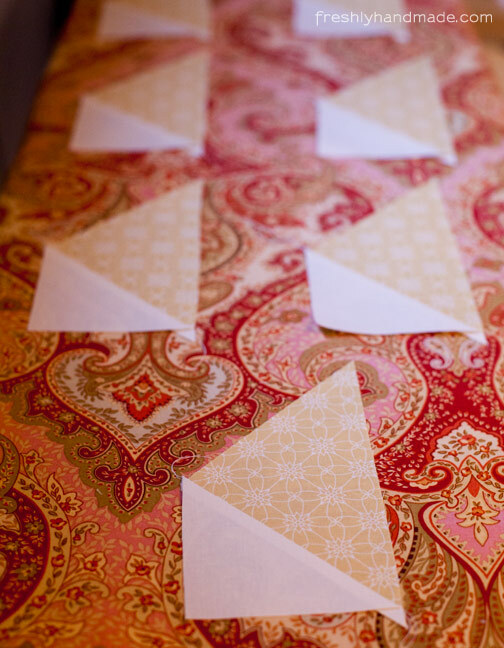 Right now, I'm working on the flying geese quilt for my mom. I am trying to multi-task as much as possible, working between chain-piecing, pressing and trimming. I'm in the zone. I was feeling ambitious this year when I told my family that I would like to make something handmade for each one of them -- something special. Not that getting a gift card isn't great, but it's just not as meaningful in my opinion. I requested that each person give me suggestions of what they might want. So far, I have almost everyone's request. Good thing, because there are only 11 more weeks until Christmas, which means I have to finish at least one project per week along with all the other projects I have in the works. I am excited to create all these handmade goodies for my family. Perhaps I shouldn't have waited until September to ask them what they wanted. Live and learn! Halloween is right around the corner so I decided I better get decorating for the holiday. 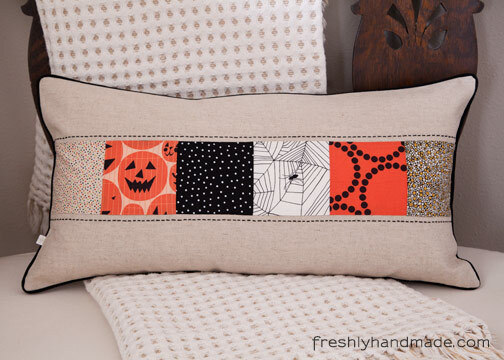 A couple months ago, I found the Jack-o-Lantern Pumpkins fabric from Andover and just had to have it. 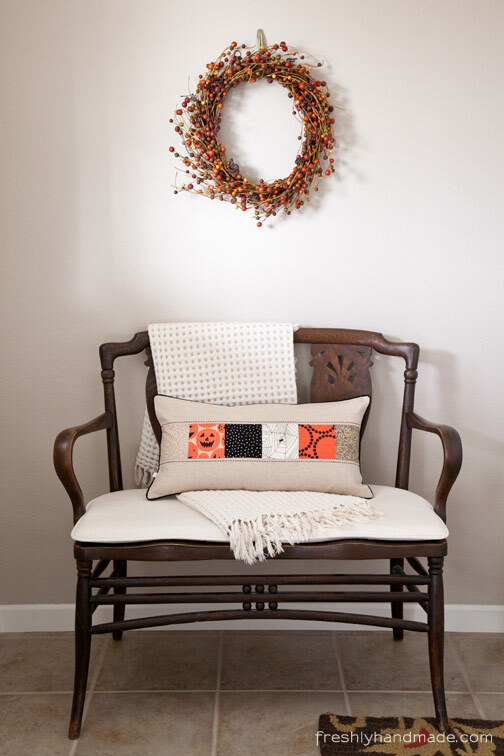 I knew I wanted to make a patchwork pillow for my entryway bench. 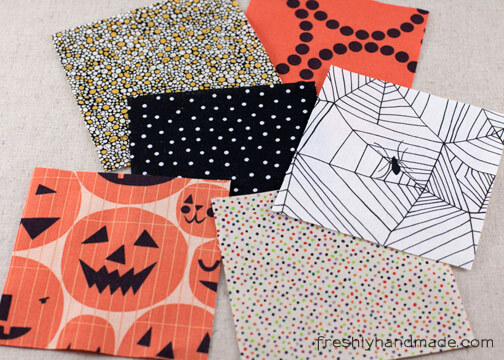 To accompany the pumpkins, I used a couple Alexander Henry prints, Lizzy House's Pearl Bracelet in Pumpkin, black and white polka dots from my stash, along with the adorable spider web print I found while I was at Quilt Expo. For the top and bottom, I used Essex cotton and linen blend. 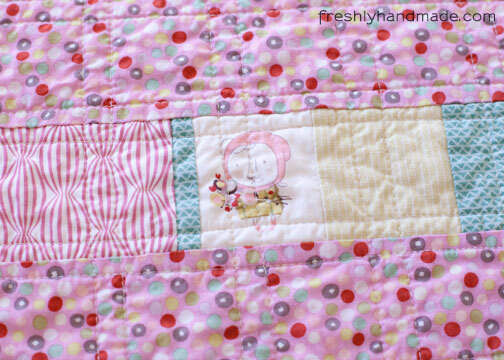 To accent the horizontal patchwork, I added a hand-stitched border along the top and bottom. For the back I used a pinstripe linen that I found in the remnant bin at my local craft store. 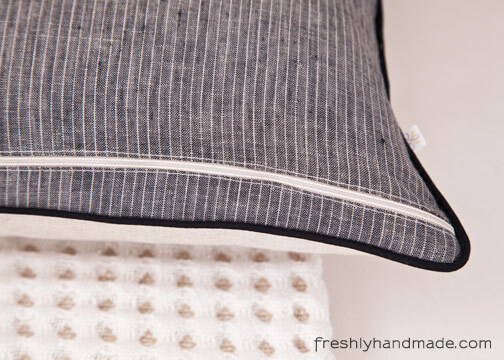 Black piping around the outer edge really gives the pillow a finished look. I also added a zipper on the bottom of the back so that I can use the pillow insert again for decorating during other holidays seasons. I purchased a 12" x 24" feather-down insert from Pottery Barn. I think it turned out great and I am pleased with how it looks in my entryway. 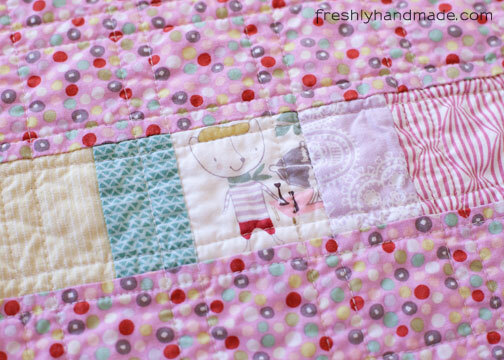 I'm a fan of whole cloth quilts. Why? Because they are simple. 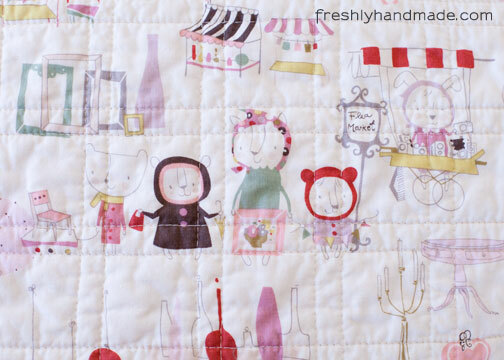 And when I find a great quality print that is too cute to cut up, I know it would be great for a whole cloth quilt. 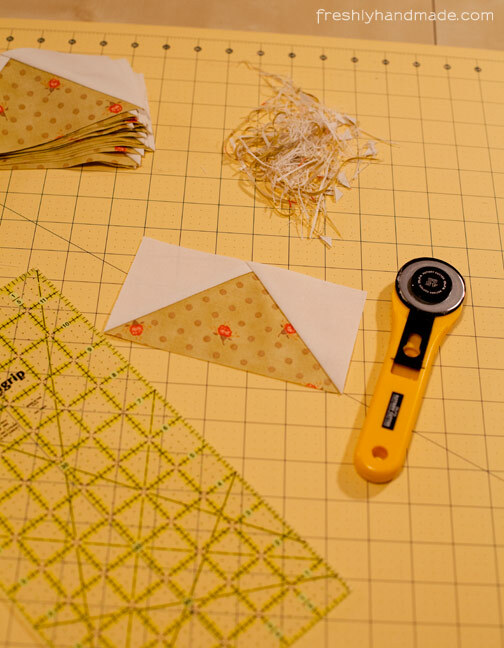 For those of you who may not be familiar with the term, it means that the top and bottom fabrics have not been pieced. 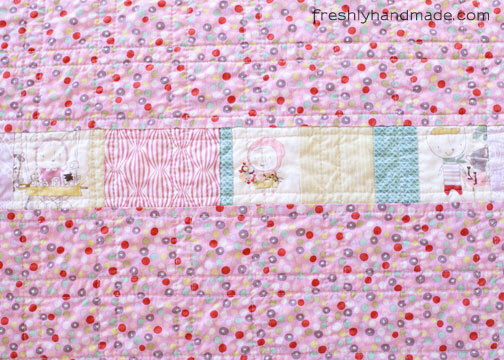 In this case, I bought two adorable Alexander Henry fabrics in the Flea Market collection for the top and bottom. 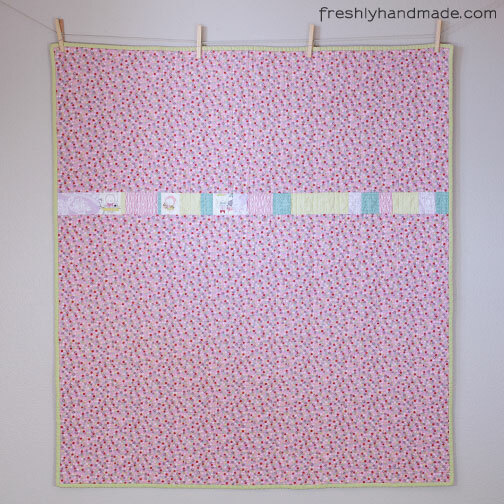 I thought they would make a great whole cloth quilt, but when I got the fabric home I pushed myself to do more. So, I pieced one horizontal stripe with a few characters from the backing fabric along with some coordinating stash fabrics. The binding is Kona Cotton in Celery. 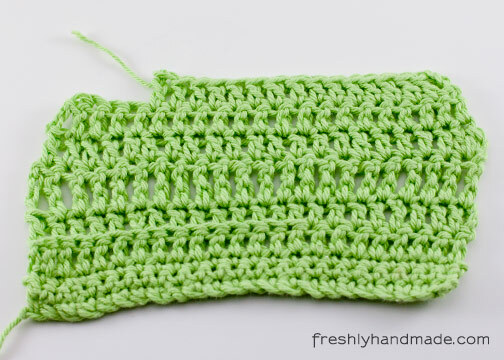 I just love the stitching and will definitely be using this stitch pattern again. Hi! I'm Stacy. I am so glad you stopped by to visit. 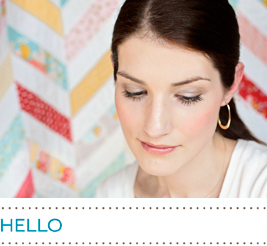 Join me as I navigate through this life creating fresh, simple handmade goodness and DIY projects for everyday living. Copyright 2012-2013. 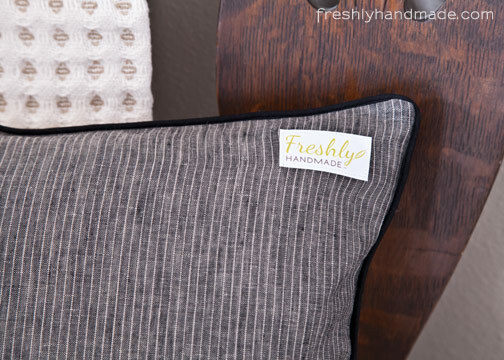 All content and photos are the property of Freshly Handmade. Please do not use any content without written permission. If you blog about a project you made using one of my tutorials, a credit and link to this site it appreciated. copyright 2012-2013 Freshly Handmade. Powered by Blogger.